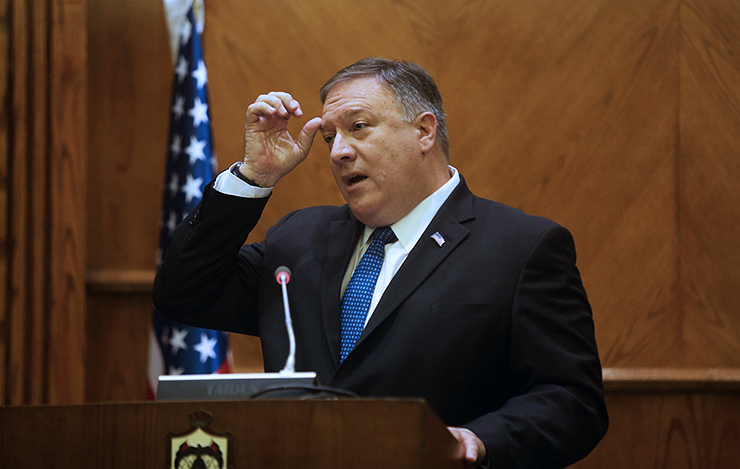 The US secretary of state Mike Pompeo’s visit to the Middle East has come at a time when the US politics at both domestic and international levels is facing extreme contradictions. There is a government shutdown at home, and at international level, Donald Trump and his team are struggling to somehow balance Trump’s imperative of Syria withdrawal with the imperative of assuring the Middle East allies of the continuing US support, and indeed its direct and indirect presence. This makes the US government project itself as a big player in the Middle East. 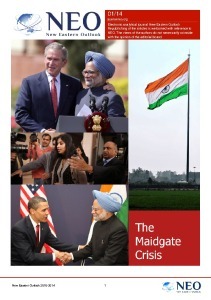 Having said this, the fact of the matter is that within the very talk of assurances and re-assurances is implicit the very waning US influence; for, if this wasn’t the case, there wouldn’t be any need for such re-assuring visits. Accordingly, Pompeo was in the Middle East to make new promises, telling its allies that the US, despite the defeat it has faced in Syria, remained ‘relevant’ to the region because the ‘Iranian threat’ is still there. But the disastrous tour of John Bolton, Trump’s national security adviser, to Turkey, where president Erdogan refused to meet him, tells the true state of US influence and its ability to change the course of events to its advantage, although US officials, including Pompeo, continue to project this defeat and waning influence as ‘change of tactics’ for the same mission i.e., countering Iran. This was plainly clear during Pompeo’s visit when he said that Iran aims to dominate “five capitals,” a reference to the government seats of Iraq, Lebanon, Syria, Yemen and Iran itself, “and our effort is to make sure that the Iranian people get control of their capital, and that it becomes a nation that is normal and isn’t conducting terror campaigns that are unrivalled anyplace else in the world”, he added further. While in Cairo, Pompeo said that Egypt, Oman, Kuwait and Jordan had been “instrumental in thwarting Iran’s efforts to evade sanctions” and that other countries like Bahrain were working to combat Iran’s “illicit maritime activities” throughout the region. But despite Pompeo’s hyperbolic presentation of Iranian intentions, it remains extremely unlikely that the US would be able to build a unified Arab grand-alliance against Iran. For the US, this is a highly feasible way of remaining engaged in the Middle East, but the idea of alliance might not just work due to some fundamental reasons. First of all, there are too many differences and contradictions within the Arab world. Not all of the Arab countries see Iran as a real threat, although many of them do see it as an aspiring regional power and not as necessarily a friend, which means that the reason for many of these states to participate in a military alliance aren’t there yet. On top of all this is the fact that these countries don’t really believe that the US promise and reassurance about continued presence and support really carries any weight. These countries know that the current administration is all but injecting its internal confusion into the Middle East. This confusion and the evident lack of vision, resulting not from lack of attention but the changed geo-political realities of the region, is evident from the fact that of the nine countries Pompeo visited, five are without ambassadors. The top Middle East diplomat position also remains vacant, filled in an acting capacity by career diplomat David Satterfield. The vacant vacancies are especially problematic and add to the policy confusion that the Trump administration continues to spread through its self-contradictory messages to its allies and foes alike. The absence of trained senior diplomats and ambassadors is costing the US its relations with its allies. Turkey is among the countries without an ambassador, and the way US relations with it have deteriorated over the years is partly a result of the US’ diplomatic distance from the second biggest military of NATO. This distance is now also impacting US relations with other Arab states, which is why top officials continue to fly over and over again, leaving Arab countries with no other option but to wait for a high-rank official’s visit to discuss matters that need their mutual attention. The crucial ingredients for a grand-alliance, therefore, don’t exist in the wake of a sense that the Arab states have started to develop about the future of the US in the Middle East. 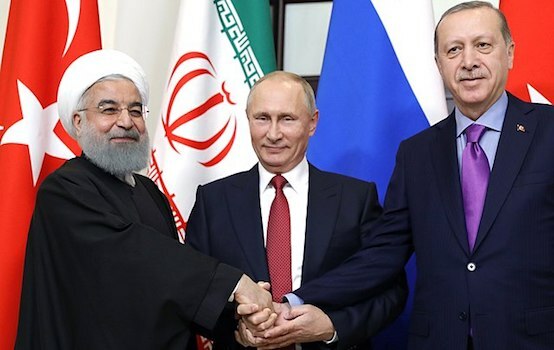 This sense is rooted in another sense of a US exit from the region, with the balance of power decisively tilting to countries like Russia, Turkey and Iran. Arab states’ opening up to Syria compounds the same of sense of US departure, although some of the states, such as UAE, also see in its renewed engagement with Syria a way to counter-balance Iranian influence. But this rivalry of influence is unlikely to take a military turn, which means that the US would have little role to play.